What if we did this together. There is art work that hasn’t been made available publicly yet and is ready to go to a fun home decor shop as an exclusive. I am pleased to be able to offer my art wholesale to storefront retailers. Following are the terms and conditions for wholesale purchasing. If you would like to purchase wholesale from Luz Donahue Art | LuzDonahue.com please fill in the Wholesale Application form at the end of this page. Please allow 1-2 business days for your application to be reviewed. If the submitted information is provided and confirmed, you will receive a wholesale account approval notice via email. Thank you! Let’s get the business out of the way. TERMS: To qualify for wholesale purchases, you must be a valid, operating retail business with a physical storefront or gallery. Retailers are only authorized to sell through the retail store(s) that they have listed on the wholesale application on record. Secondary stores, as well as website and online sales must receive prior written approval and may be subject to a separate contract. Partnering with third-party online resellers (i.e. Amazon, Etsy) to sell our prints and/or original artworks is not permitted unless a prior agreement between seller and buyer has been reached. Artist has the right to terminate any wholesale account. MINIMUM OPENING ORDER: The minimum opening order is 8 (eight) pieces or $500. Minimum reorder is $250. Accounts that have not placed a purchase within a twelve month period will require a minimum reorder of $500. Any changes in these minimums will be sent via email to all buyer accounts. PRICING: Wholesale buyers will receive a discount of 45% off the current retail price on all products. MSRP must be kept up to date with current Luz Donahue Art | LuzDonahue.com pricing. Wholesale buyers may not offer discounts greater than 15% off the retail price. Pricing updates will be emailed to all active buyers. Failure to comply will result in termination of the wholesale agreement. PAYMENT INFORMATION: Orders must be paid in full at the time of purchase. Payments can be made via Visa, Master Card, American Express, Discover, or Paypal. At this time we do not accept checks or offer net terms on wholesale orders. TAXES: A valid Resale Certificate issued by your state is required for wholesale order approval. 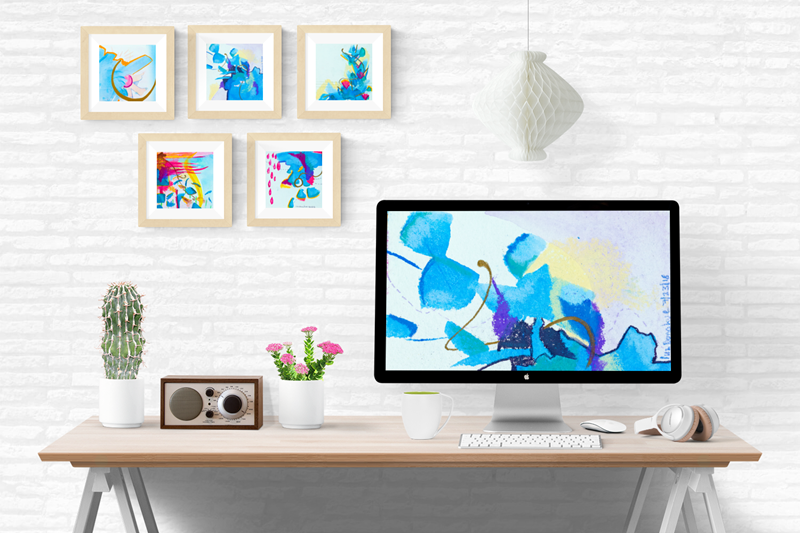 Luz Donahue Art | LuzDonahue.com is not responsible for any sales tax or fees associated with the resale of wholesale products. LEAD TIME: Production and shipping time is 4-6 weeks. During pre-holiday seasons this time may be extended to 6-8 weeks. SHIPPING & HANDLING: Order must be paid in full prior to shipping. Retailer is responsible for shipping costs. Shipping is charged at a flat rate, based on the dollar value of the order. All domestic orders will be shipped via USPS or FedEx, unless a previous arrangement has been made with the buyer. Items will ship from Felton, California. CANCELLATION: Wholesale order cancellation must be done within 72 hours of placing the order. Order cancellation sent after the 72 hour period will be subject to a 50% of order total cancellation fee. DAMAGES | RETURNS: If items arrive damaged it must be reported in writing within 3 business days of receiving the order. Outside of the 3 business day period, the order will be considered a final sale. If you wish to return merchandise it must be returned unopened, undamaged, and in its original packaging. We will not accept returned products that have already been marked or labeled. A 20% restocking fee will be deducted from the refund total for all returns. All rights and copyrights are retained by Luz Donahue Art | LuzDonahue.com. Purchasing the work does not transfer copyright. You may not reproduce any Luz Donahue Art | LuzDonahue.com art in part or whole without the written and signed consent of Luz Donahue. Colors may appear differently on different monitors. We are not liable or responsible for the difference in colors between screens and the final product. All Retailer information shall be held in confidence by Luz Donahue and shall not be disclosed or at any time used by Luz Donahue Art | LuzDonahue.com except to the extent that disclosure or use is necessary to complete the terms of this contract. All information related to Luz Donahue Art | LuzDonahue.com shall be held in confidence by Retailer and shall not be disclosed or used by Retailer except to the extent that disclosure or use is necessary to complete the terms of this contract. The obligation of confidentiality between both parties shall extend indefinitely. BY COMPLETING THE WHOLESALE APPLICATION YOU AGREE THAT YOU HAVE READ, UNDERSTAND AND ACCEPT THE WHOLESALE TERMS AND CONDITIONS. Anything special/unique about your business that you'd like to share? Thank you! We will be in contact with you soon regarding your wholesale inquiry.